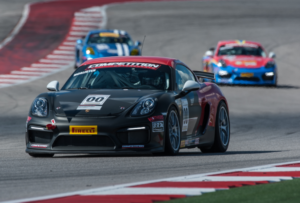 Sonoma, Calif. – As the Pirelli GT3 Cup Trophy USA Championship enters the final swing of its 10th anniversary race season with two rounds yet to run, the series returns to Sonoma Raceway for its second double-header event at the track this year. 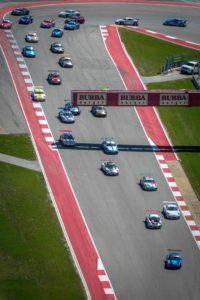 The event marks Race 13 and Race 14 of the 16-race championship. 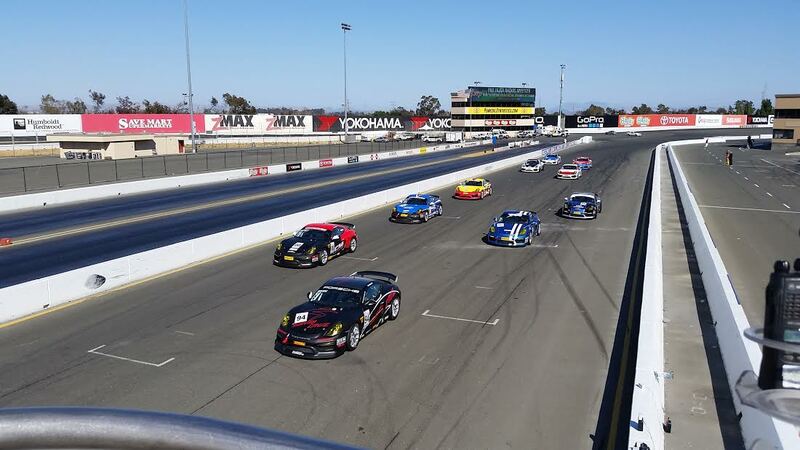 With five different classes competing on the track at one time, there will be race action all around the highly appreciated natural terrain road course as the Porsche racers return to the picturesque northern California circuit. 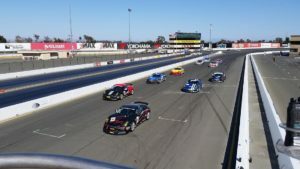 At 2.5-miles long, Sonoma Raceway plays host to everything from sports cars, NASCAR Sprint Cup, IndyCar, and superbikes, and features 12 corners with elevation changes that make finding that perfect lap all the more challenging. This weekend, Pirelli GT3 Cup Trophy USA shares the track with NASA, and the Porsche teams will see plenty of track time with three practice sessions on Friday followed by two race days complete with a morning practice, qualifying, and a 45-minute race. Despite not racing the previous event at Sonoma Raceway, BR Racing’s Robert Todd continues to lead the Diamond class championship ahead of Dino Crescentini, who scored back-to-back victories in the previous Pirelli GT3 Cup Trophy USA event at Utah Motorsports Campus. Holding steady in third is Michael Zuieback who pilots the No. 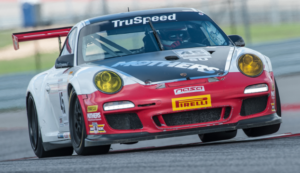 2 Discount Tire Porsche for Competition Motorsports. In the Platinum category, it’s been Tom Haacker at the front of the field all season long. In 12 races, Haacker has been on the podium in all but one – with nine wins to his credit. But the Platinum podium will be missing his familiar face this weekend as Haacker is unable to compete due to prior commitments. The Platinum Masters class has seen some exciting action between three TruSpeed Autosport teammates. Larry Schnur leads the championship standings into the penultimate weekend of the 2016 championship, with Ray Shahi and Jim Slavik second and third, respectively. 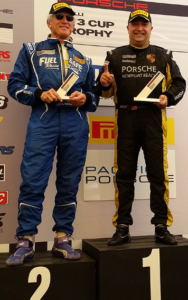 Schnur, whose history at Sonoma Raceway dates back to 2001 when he first participated in the Jim Russell school, is looking for redemption this weekend after disappointing results in the previous Sonoma outing. 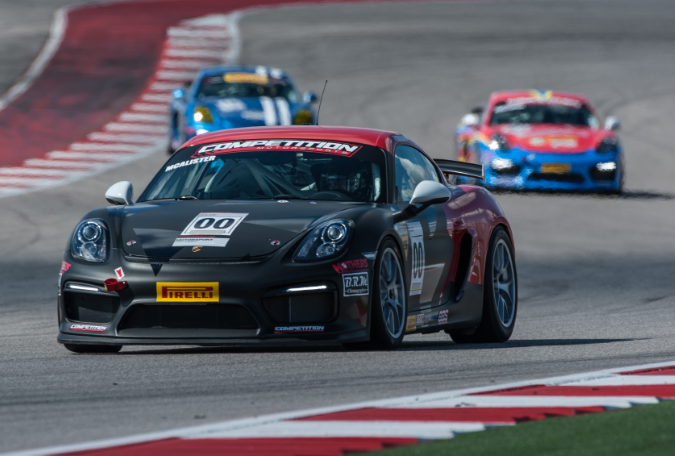 Perhaps the most spirited battles of the year have occurred in the Silver class division which features the all-new Porsche Cayman GT4 Clubsport machines. It’s been a back and forth battle atop the championship standings between BR Racing’s Kevin Woods and Competition Motorsports’ Sean McAlister who is in his first-year of racing cars. Heading into this weekend’s double-header, Woods holds the point over McAlister. In the Silver Masters category, it’s been Steve Goldman who has dominated, winning all but one race so far this year in the masters division. The weekend kicks off with a practice day on Friday followed by the two race days on Saturday and Sunday. This entry was posted in News on September 8, 2016 by admin.